Statistical methods are used in all professions. 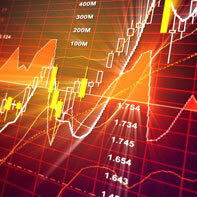 Different kinds of market analyses are common in all businesses. The manufacturing industry uses statistics in its quality improvement programmes. Statistical methods are used to measure the unemployment rate and the consumer price index. The pharmaceutical industry and the medical service need statistical methodology to develop pharmaceuticals and enhance treatments. Research at universities as well as companies must be analysed in an appropriate and reliable way. Advanced statistical methods are used everywhere. The collection and analysis of data may be done in a more or less sophisticated way. The science of statistics tells you how to collect and analyse data in an effective way which will minimise the uncertainty in the decision-making. “Statistical thinking will one day be as necessary for efficient citizenship as the ability to read and write.” H.G. Wells (1886-1946). The conference sponsored by the department attracted a large number of participants.